Home » CRYPTOZOOLOGY » Did U.S. Troops Encounter Bigfoot in Vietnam? From wearethemighty.com by Blake Stilwell. 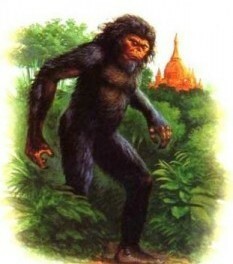 In the Kontum Province of Vietnam, near the borders with Laos and Cambodia, there were many reports from U.S. troops on patrols of a strange, not-quite-human but not-quite-ape creature the locals call Nguoi Rung, or “The people of the Forest.” In other words: Bigfoot. Gary Linderer was on a six-man patrol with the 101st Airborne’s Long Range Reconnaissance Patrols. 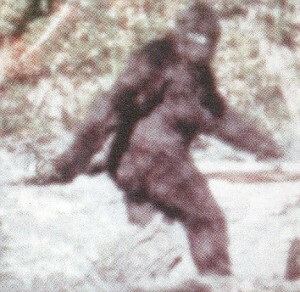 While struggle through the underbrush, he ran into “deep set eyes on a prominent brow… five feet tall, with long muscular arms.” The creature “walked upright with broad shoulders and a heavy torso.” His battle buddies told him he just saw a rock ape, but Linderer had seen Rock Apes before. This was no Rock Ape. Did a Dog Catch Bigfoot on It's GoPro? 2 Comments on Did U.S. Troops Encounter Bigfoot in Vietnam? Is it just me or does this look like it was just a picture taken from the Patterson film from the sixties. Good eye! That’s from the Patterson film without a doubt. The article creator must have used a stock image.